Axles are not something folks tend to think about unless there is a problem. Wheels and tires are another matter altogether. For one thing, wheels and tires are visible to everyone who sees the vehicle. They are attention-getters even from people not involved in the industry. Plus, nice wheels make the truck look good, building pride with the drivers and others supporting the fleet. From another perspective, wheels and tires are top of mind for fleet managers because they present an opportunity for fleets to reduce cost-per-mile. For almost a decade now, wide base single wheels and tires have given trucks a unique new look and potentially saved fleets some expense in tire costs. Mechanics who regularly work on these setups are familiar with various issues that have emerged. However, not every mechanic encounters this wheel and tire configuration. So they may not fully understand the effect that wide base single wheels and tires have on axles and most particularly the wheel-end. For instance, the wide wheel that is outset changes the center where the load is placed between the wheel-hub bearing outward. 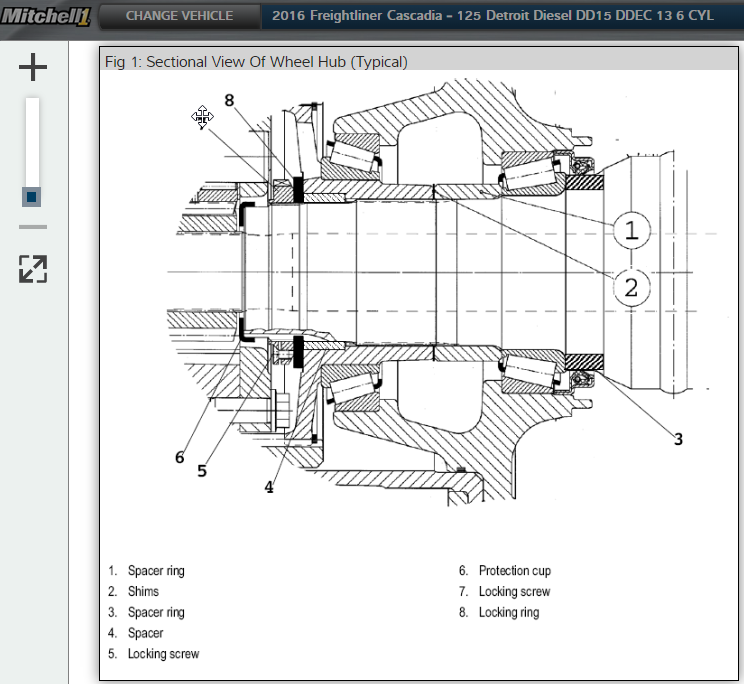 This shift places additional load on the outer wheel bearing decreasing bearing life. So, what does this mean for the mechanic? First, it may be necessary to inspect the wheel-ends more frequently. Second, wheel-end fluid leaks may be a sign of bearing wear or damage. Even more important, proper wheel bearing preload and end-play settings are essential in getting the maximum life out of the wheel bearings. When working with these components, it’s especially important to consult your service manual or truck repair information resource, like TruckSeries from Mitchell 1. For additional insights, also check out the white paper on the topic from Meritor: Understanding the Impact of Wide Base Single Tires on Axle & Wheel-End Systems. Next:Winter’s Coming! Get Prepared with This Inspection List.